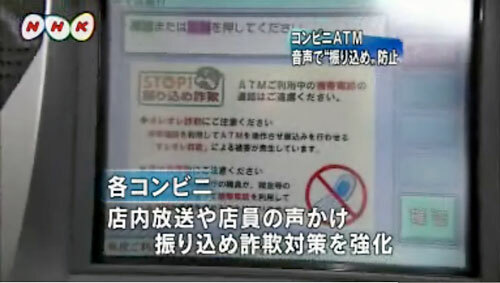 Now, a voice from the ATM will ask everyone to double-check the purpose of their transaction. This shouted warning is the latest attempt at stopping swindles. Together with the continuing vigilance of bank tellers, the installation of cellphone jammers, and a month-long police anti-scam campaign, the elderly in Japan are probably the most fraud-aware anywhere. Click here to watch the report and listen to the loud alert.